Over the past twenty or so years, the employment landscape has changed dramatically. Jobs that didn’t exist then are now commonplace, new jobs we haven’t even thought of are being developed and the old notion of a ‘job for life’ has thankfully vanished. Further education colleges provide high quality technical and professional education and training for young people, adults and employers. They prepare almost three million students with valuable employability skills, helping to develop their career opportunities. We are not the same, yet, in FE, many still stick to the same old Gold standard courses such as A levels and GCSE as our headline figures to attract new students. The A levels don’t bring as much funding and nor are they are brief, but they are still the headline figures quoted to attract students. If FE is vocational and business oriented why are we judging each other and selling ourselves to learners based on an antiquated measure? Why are we are still cramming our websites and prospectus documents with ’99.5% A-C A levels’ quotations and the stock images of university type students leaping into the air, brandishing their certificates. Why don’t we advertise our prowess in vocational courses to the same extent? We are either trying to be all things to all people, or we haven’t fully embraced our purpose. An FE prospectus looks a bit like a TK Maxx shop. Everything you can cram in is there, and hidden away in every department there are gems of real value but there is too much. We want to be known for our supportive SEND programmes, for our 16-18 achievement, for educating adults, for our HE provision, for our work with employers, for our apprenticeships, for our academic excellence, for our brilliant technology, for our Equality, for our ethnic diversity and for saving so many students who have been badly served in schools. We are rightly proud of our inclusivity. Inclusivity comes at a cost though. Funding issues and curriculum changes mean that we no longer have the capacity to give everyone what they need. Teaching hours are reduced, more learning is independent and online, trips to industry and even basic practical experiences are reduced in some places. So why aren’t we focussing on our remit? In 1992, FE voted to support incorporation and become financially independent. This changed the focus of FE from education to business but our mind set is still twenty years old. So why don’t we accept the challenge instead of weaving around it? Why don’t we declare ourselves to be the focus of employment opportunities? Why don’t we focus on developing employment skills through our fabulous vocational programmes and get students the skills they need now, and in the future? Why don’t we let the academic side go to the Sixth Forms and Sixth Form Colleges and focus fully on our remit? Is there still a residual snobbery around vocational education that somehow, we are ‘town’ and not ‘gown’, even within the FE sector itself? I’m not suggesting for one moment that we start pronking our way across the educational landscape. That type of protectionist attitude is not conducive to good practice, nor is it financially sensible in such restrictive times. FE should be an open and welcoming landscape, not a series of enclaves. My suggestion is that after twenty plus years of independence, FE recognises that the world has changed and if we wish to be known as centres of excellence, we embrace vocational education wholeheartedly and stop trying to hang onto every possible opportunity before National Colleges and UTC’s take our vocational strands too. It is time to draw a line in the sand, and concentrate on what we do best. If FE, our economy and our students, are to thrive and not just survive, then this is not just our choice, it is our responsibility. If you want to engage with today’s young people, one of the most effective ways to do this is through a mobile device. According to Ofcom, 90% of 16 to 24 year-olds now own a smartphone and half of them check their phones within five minutes of waking up. These days, smartphones and tablets are more than just pieces of kit, they are an integral part of students’ lives. This presents an unmissable opportunity for colleges to use them to attract students, keep them engaged and help them to get the best from whatever further education pathway they choose. So how are colleges tapping into the mobile technology revolution? We asked them and what they told us offers some interesting insight into the changing FE landscape. Some colleges use social media to reach out to young people through their phones and tablets before they have even enrolled, which can help to boost a recruitment drive. But as one assistant principal says, mobile technology is valuable for communicating with students once they start their courses too. “In schools, you can get students together in assembly regularly and talk to them there. Once they enter further education, however, you need to find a way to communicate directly with students without the ability to get them all into a room at the same time. Moving into further education is a big step, particularly for students who come straight from school. For colleges, a key part of this transition is encouraging young people to become more independent learners and mobile technology can play an important role in keeping students on track. A growing number of colleges are looking at providing tools that allow students to monitor their own performance using a tablet or other mobile device, to support them in taking responsibility for their own achievement. These tools can give students access other information, such as their timetables and achievement targets, when they are away from college too. It’s not just students who respond well to digital communications. Colleges have much to gain by using mobile technology to reach other stakeholders too. There are tools available that can offer teaching and pastoral staff instant access to information about their students’ progress, wherever they are in the college. It is even possible for them to engage in two-way communication with students, in real time. With live information such as details of students’ attendance or achievement at their fingertips, a tutor or student welfare officer can act quickly and offer support where it is needed when a students’ progress starts to slip and keep them motivated to achieve. Parents who have been used to receiving an abundance of information from schools on their child’s progress might find that when they enter further education, this starts to drop off. But there are solutions available that will provide them with real-time information on their child’s attendance and progress straight to their phone or tablet to help them engage in and support their child’s studies. Young people now expect to operate in a digitally connected world, and those institutions that make the most of all that mobile technology has to offer will be in a stronger position to be able to attract students, keep them motivated and boost their achievement. To read the full college interviews, download the ‘Greater Achievement in the palm of your hand’ white paper here. Nigel Rayner is director of Capita’s further and higher education business. Recently I wrote a short piece on what it meant to me (teaching in further education) now being under Conservative power. As I was mulling (and slightly ranting in my head) this over, my thoughts came back to an article I had read a few years back whilst I was writing my dissertation (if you’re interested it was on Generation Y). 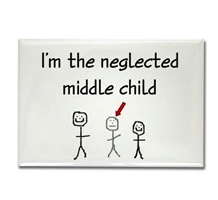 The words hit me just as hard as it had the first time I had read it, “neglected middle child”. This was Andrew Foster’s comment referring to further education back in 2005. He was of course referring to FE being seen as an insignificant slot between school and university. I was overwhelmed to be invited by Sarah Simons to join the #ukfechat gang in a visit to meet with David Russell at the Education and Training Foundation. It was at the start of a week in which, it eventually turned out, I gained a lot of confidence. As this was at the start of the week and meant an influx of new people to meet, I was incredibly nervous. I was my typical quiet and reflective self for the duration of the meeting.